And yet, our “temporal famine” (Hartmut Rosa), this constant anxiety of lack of time, makes us want to control everything, even the precious time of wine. Composed of an aluminum blade with a copper pellet, La Clef du Vin promises to age a wine in only a few seconds. 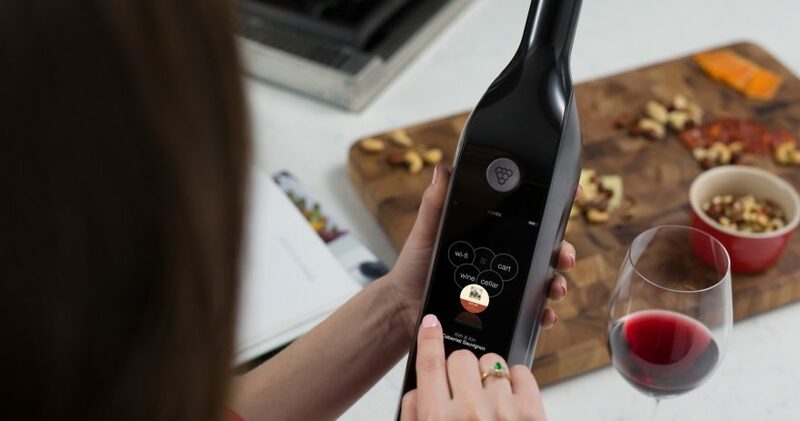 Developed by Peugeot, the accessory releases electrons that modify the aromas of wine. On the other hand, Kuvée allows us to take all the time we need to taste and enjoy a bottle of wine! The quality of the wine is maintained for 30 days, without the wine oxidizing, thanks to a capsule equipped with a valve. We are now able to taste a wine whenever we want ! Thanks to the stunning technological advances, we are now able to become “time masters”, and we use this power in all situations …‽ But don’t you think that the expectation promotes more pleasure in the end? And that the ephemeral give us more excitement in the moment? What if we used our power only when really needed …? Let’s keep it slow !